Blackened Seasoning also called blackening spice or Cajun seasoning, is a spice mixture used to traditionally season fish, shellfish, meat, and poultry. 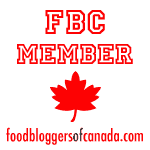 One of the first Chefs to really use and popularize blackened spice, was Paul Prudhomme from New Orleans in the 1980’s. He ran multiple successful restaurants and is also credited with creating the Turduckin! 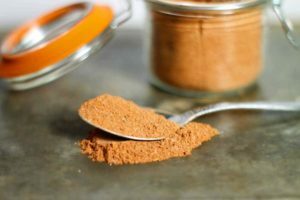 Most blackening spice blends are all variations of the same theme, using readily available spices from the pantry to create a strong, and spicy mix with a recognizable Cajun flare. 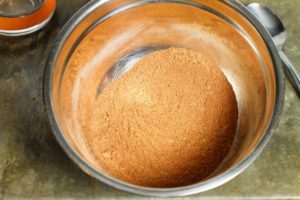 Almost all blackened spice mixes include, Paprika, Garlic Powder, Onion Powder, Cayenne, Salt, Pepper, and a blend of various herbs depending on the Chef’s preferences. As I mentioned above, fish and shellfish are most often blackened, as they are quick to cook in a cast iron skillet. Blackening other meats is perfectly acceptable as well, but thicker cuts such as steak or chicken, will need to be finished in a hot oven to reach the proper internal temperature without actually burning the spice in the pan. 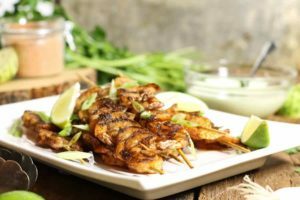 These Blackened Shrimp Skewers are a great example of blackened shellfish and how to properly blacken fish and seafood at home with Cajun seasoning. Creating your own blackened seasoning is easy to do, and in many cases cheaper then buying a store bought mix. If you cook regularly, you will most likely already have all the required ingredients on hand. 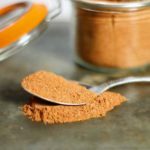 I’ve shared my blackening spice blend I use at home below, but feel free to adjust or adapt the recipe to suit your own tastes! Mix all the spices together in a bowl and then store in an airtight glass jar. Use the blackening spice to add a Cajun flair to any meats and seafood, and even roasted vegetables! To find out how to properly use and cook with blackened seasoning check out these Blackened Shrimp! 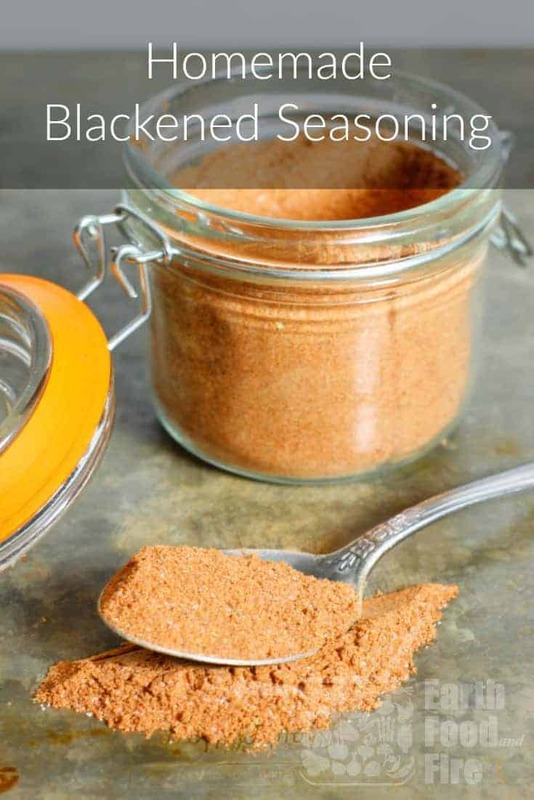 Make your own homemade blackening spice to add flavor to fish, shellfish, meats, and even vegetables! Mix all the spices together in a bowl , then store in an airtight glass container. 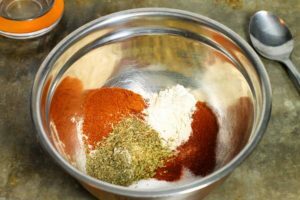 If you prefer a milder spice mix, reduce the amount of cayenne pepper, or substitute chipotle powder.